A break in her forearm described as ‘spectacular’, Eleanor was told by doctors that she was close to losing her left arm because of the severity of what had happened. 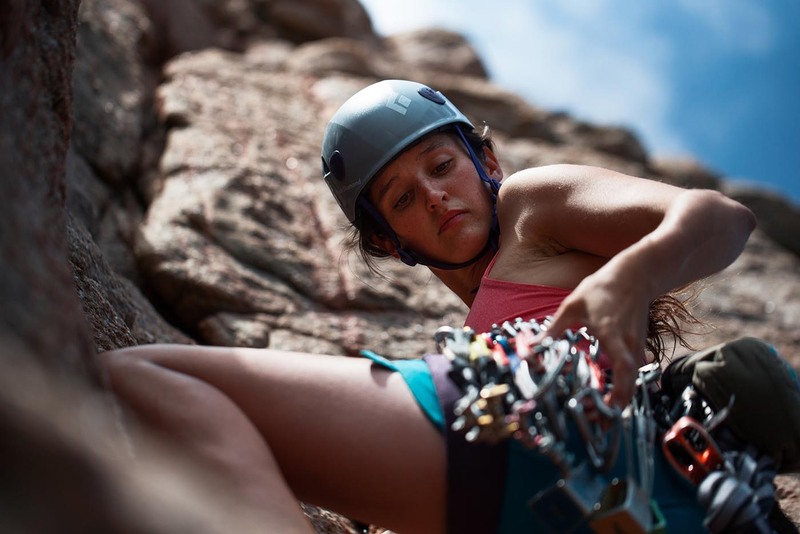 A mere five months into Eleanor Lister’s foray into the world of rock-climbing, she would need to overcome an obstacle larger than any cliff-face: recovery and rehabilitation. 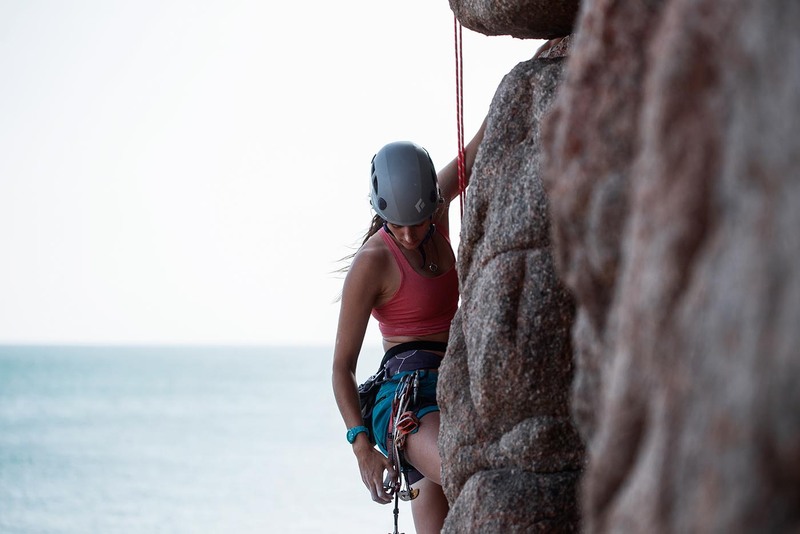 Relayed via the comments of those she scaled cliffs with, and shown through her own internal confidence, Eleanor had taken to the sport of rock-climbing with enthusiasm and a natural talent. Fearless and intrepid, Eleanor was leading climbs within months, pushing herself further with each ascension, beginning to define herself as a ‘climber’; a prospective future in the sport was beginning to rise over the horizon. Until, ironically enough, within the confines of an indoor climbing room with additional safety protocols, a dramatic shift occurred. A misplaced hand was all it took for equilibrium and balance to part ways and for the 21-year-old photographer to find herself falling through 15ft of open air and landing badly on a crash mat below. Unfortunately for Eleanor, because of how her body had contorted within the fall, her left arm made first contact with solid ground whilst the rest of her played catch-up. It was as bad as a broken arm could be before amputation became the next course of action. Eleanor gives credit to the paramedics who treated her at the scene. Apparently it was their competence that made the difference in her arm remaining attached to her body. Two metal plates and 13 screws inside her left arm which will be there permanently, Eleanor was told she was looking at a 6-month recovery period before her bones would be fully healed. The adage of getting back on the horse after you fall speaks to not letting fear, often of injury, stop you from trying again. For Eleanor, the question arises, what happens when you’re forced to spend half a year removed from the horse that bucked? 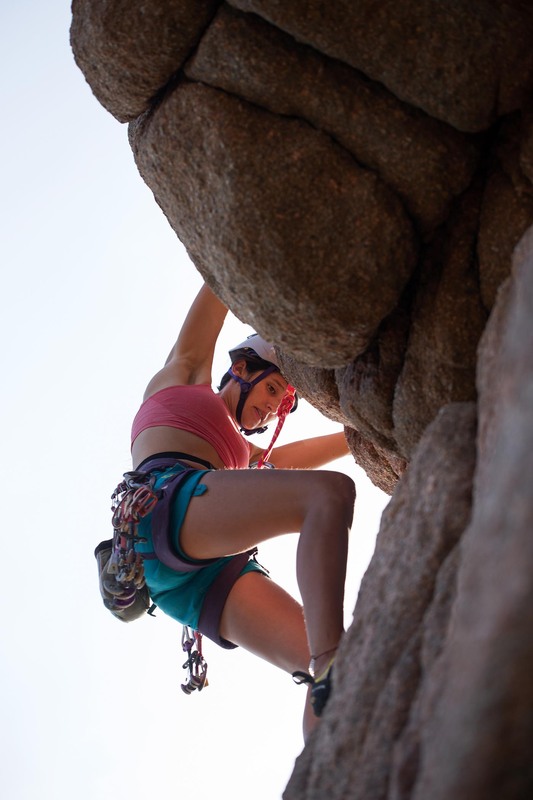 Rock Climbing is an exciting and challenging sport, with a huge sense of achievement when you complete a route. A route can be any height, there are short 5 metre climbs, or 2,000 ft climbs. 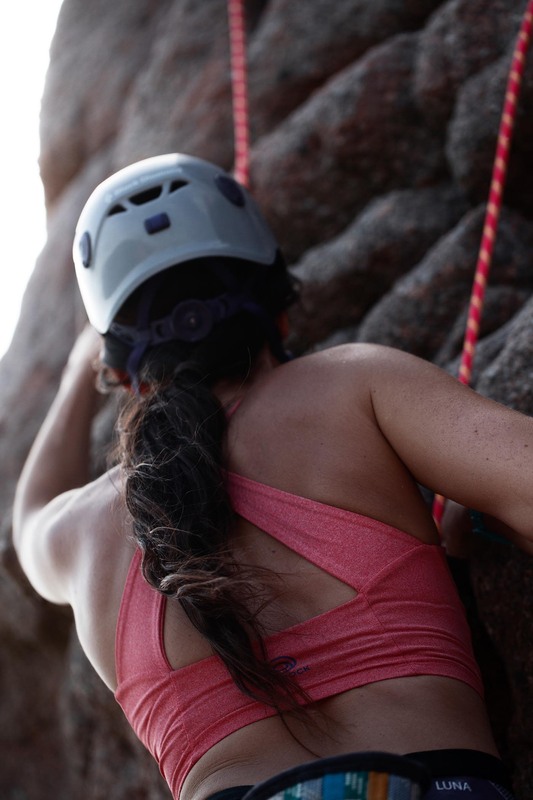 The confidence building and feeling of accomplishment is what draws many into the sport; while you’re climbing you’re not thinking about anything or anyone else. It’s just you and the next sequence of footholds and handholds, more often than not, the level of focus and body control it requires is therapeutic and meditative. Meeting me for a chat about what that fateful fall has meant to her as both a climber, and a person recovering from trauma, Eleanor candidly invites me into her life. Q. What did the fall do to your relation with rock climbing in those 6 months? Did you want to get back out to it immediately or did it scare you? A. After my accident I was terrified of climbing and it really took its toll emotionally. However, I loved it so much that I didn’t want to give up. Physically it wasn’t too much of an effort to try and get back in, because you build that muscle up quite quickly, but it really was traumatic. After the accident I tried to go back to climbing, though I quickly realised that this was going to be quite a hurdle to overcome. Before the accident I was super confident. I was climbing stuff that was ridiculously hard and I was getting to the top without any issues; I didn’t have any fear at all. After my accident, I remember being in the middle of a route, and I was crying because I was so petrified. That mental switch between feeling secure on the rock and being able to make rational decisions surrounding the dangers suddenly became completely different. Self-preservation hit and I started thinking about my own mortality and how, obviously, I don’t want to die, even though it was somewhat irrational, because I knew the equipment I had would keep me safe. Even though you know “I’m not going to die”, that the rope’s not going to snap, my harness isn’t going to break, when you’re faced with a position where you’ve previously hurt yourself before, it’s very difficult to try and rationalise that fear. I wouldn’t say that it becomes a phobia, but it does become this really intense “something is going to go wrong” emotional rollercoaster, because my brain relates it to “something has gone wrong in the past”. Q. An injury like yours, is that something that is fairly common even within the Jersey scene of rock climbing? Or has it made a lot of people afraid of “Oh, this is what it’s like when it goes wrong”? A. My accident was definitely just an isolated incident. Of course, out on the rocks there are always situations that have the potential to not go as planned, but certainly terrible accidents aren’t so common. I won’t have been the first to have a serious accident, and I certainly won’t be the last, but for the most part it just was a freak accident. 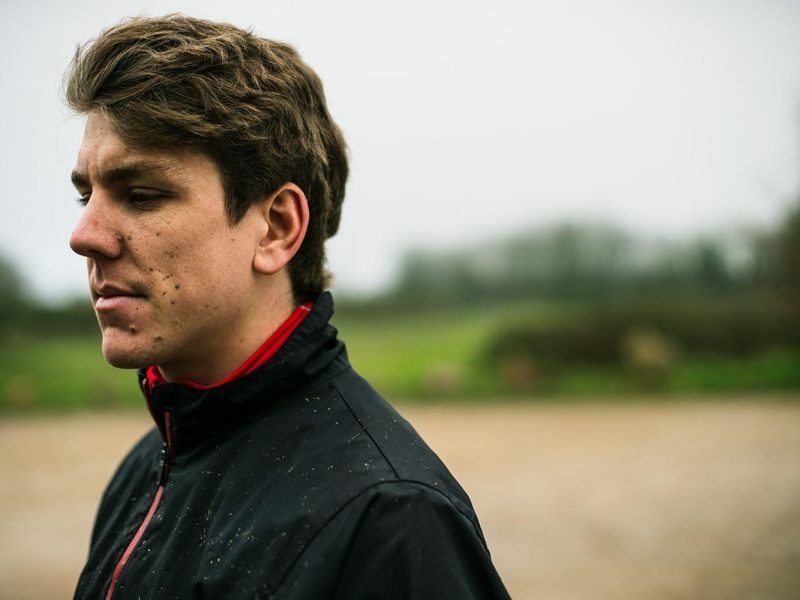 So I think it was quite easy for other members of the climbing community to consider their own climbing rationally, the likelihood of this happening again is very slim. With that being said, when I was climbing, I was climbing at a much higher level than maybe I should have been. Maybe I should have taken a step back. I usually joke that if I hadn’t injured myself, maybe I would either be a professional climber or I’d be dead, ha! Q. I’m curious how these different mental stages come at you and how you choose to go over them. Someone who is scared of rock-climbing after an accident like this might sidestep and avoid ever doing it again because it’s too much for them. You went the other direction and kept doing it. When you had that first climb back and you got hit with all these emotions, how were you once you finished the climb? A. I remember being on that first climb back after my accident and being absolutely terrified. And then when I got to the top, I was happy. Partly because when you get to the top of any route, whether after dealing with something traumatic like I did or just normally, there’s a sense of achievement. While you’re climbing, there’s no way out. You can’t just suddenly say to someone, “Actually, I changed my mind, I’m just going to step off to the side” – you have to finish the route, and you have to push through and deal with that emotion there and then. It forced me to get to the top and then when I got to the top there was this sense of ‘I’m alive, I fought through that irrationality, this is an achievement, I’m happy about this’, and then you do the same stupid thing again. [Laughs]. You get to the top, you’re happy, and that kind of pushed me forward and made me want keep at climbing and really get back into it. Q. You’ve been climbing for almost six years now; do you have specific aspirations within climbing that you want to do? Or is it quite localised, that you just like climbing for the sake of climbing, not seeking out specific climbs? A. Before I broke my arm I really had high aspirations. My plans were to get really good at climbing and then maybe move away and then (maybe optimistically, ha) hopefully get sponsored by some big brands. It was really devastating when I did break my arm, because I knew that physically my body would take a long time to recover. What took me by surprise was how I responded emotionally. That unexpectedly took a lot out of me; to suddenly realise that my idea of moving away and climbing all the time, maybe even professionally, wasn’t realistic anymore. But now I’m quite content with just being a happy climber. If I can go out for the day and if I can have a bit of fun, you know, be in the sun and go for a bit of a swim afterwards, that’s good for me. My aspirations towards climbing have changed significantly. Of course I’m not saying that I wouldn’t like to be sponsored; but it’s nice just to be able to enjoy climbing without being scared now. There definitely is a light at the end of the tunnel where all of this is concerned because even though I had my accident, I’m still happy climbing. Only last week I jumped on a really hard climb that I wouldn’t even have attempted 2 or 3 years ago after my accident; and I got to the top and I was incredibly stoked, and I cried, not because I was scared but because I was happy. And that’s starting to become the driving force now. I’m not trying to push away the fear; I’m trying to gain that sense of accomplishment. The emotions are flipping, it’s slow but it’s happening. 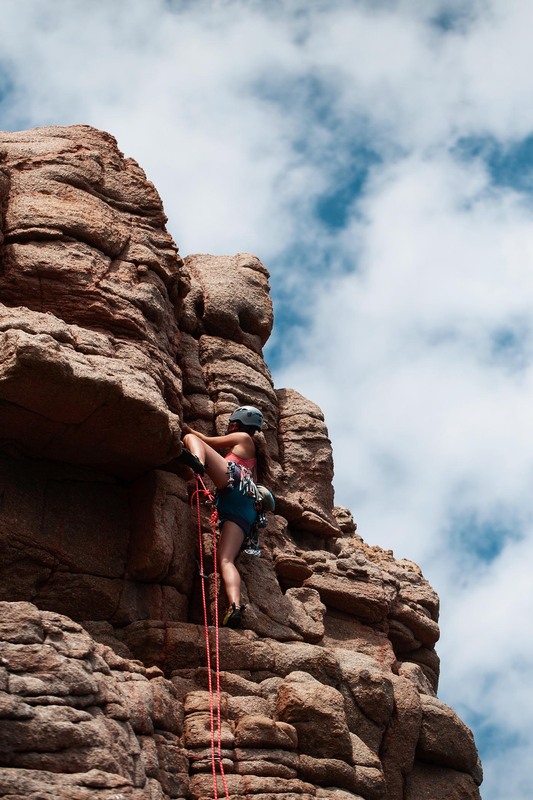 Q. I feel an important aspect of this is that you might not be where you could be with rock climbing on a technical, and maybe professional, level due to the fall. But having to go through a traumatic experience like this, and constantly having to face this inner struggle with it, surely points to such an improvement in your mental fortitude. Because like I said I believe there would be a lot of people who, faced with that kind of fear, would say ‘absolutely not’, and would never go back. A. It’s such a difficult statement to say without patting yourself on the back, but I do feel very proud of myself for keeping at it and not quitting. I completely understand why people would get to this point and have an accident and then think it’s not worth it; sell their equipment and start a new “safer” sport. But I consider myself to be really tenacious and quite stubborn with climbing. I love it too much to just pack it in. Would I say I was strong of mind? I feel it’s almost the opposite; I almost feel I’m weak of mind, because a strong minded person would have just gotten back on the rocks and returned to their original ability, without having to fight with their own head for confidence. Q. Those feelings (of fear) are based on completely rational internal processes…your body is saying, ‘don’t do this again because last time this happened’; and yet to ignore those voices and push through, to me, it shows a strong diligence to what you love doing. If we believe the hardest thing to do is the right thing to do in a lot of ways; the easiest thing would be to never go climbing again, then you wouldn’t have to deal with the fear of it. But for you chasing the high you get from climbing is worth overcoming that fear. A. I would say that in comparison to some other people that might have experienced a similar accident and quit, maybe it does say something about my mental strength to be able to carry on and do it again and again until I get better. But I suppose the same is true for everyone who’s had accidents. If you love your sport, you do your best to try and push through, even if that leaves you in tears. I guess that’s maybe not so much mental strength, as just love for it. I wouldn’t really consider myself to be strong-minded, but then I guess I can see how it is strong of mind to have carried on. By my own estimates Eleanor is too humble to openly celebrate the journey she’s been on, but that candour speaks to the honesty of the person she is. The broken arm isn’t a defining part of who she is, and it certainly doesn’t come across as something she is keen to milk for the sake of sympathy or self-promotion, but it is an important part of her story nonetheless. When I’m speaking with Eleanor I can sense that lingering fear of a traumatic event in her eyes, but I see it existing within a person who has taken that fear head-on so its grip doesn’t become a vice. Eleanor could’ve left rock-climbing and no one would’ve criticised the decision. It was who Eleanor wished to be to herself that ultimately played the deciding factor in getting her back out climbing, and continues to do so every time that anxiety rises. Eleanor’s story shows us the importance of internal strength, that even with a strong support network it is up to the individual to step out and begin the climb. It might take longer to reach the summit, it may involve some deep breaths and a few tears along the way, but according to Eleanor, the view at the top is worth the struggle.